Quinntessential Home | Recipes, Crafts, Apartment Living: I'm Back Just in Time for Chili! Growing up, my mom made around a hundred home-cooked and amazing meals, many of which I still make today. And, you guessed it, homemade chili is one of those meals! Because I don't have my mom's recipe for this (still waiting on that recipe book, Mahj! ), I made my own...and it tasted nearly as good! Are you ready to fight the chilly weather with some delicious, heart-warming chili? 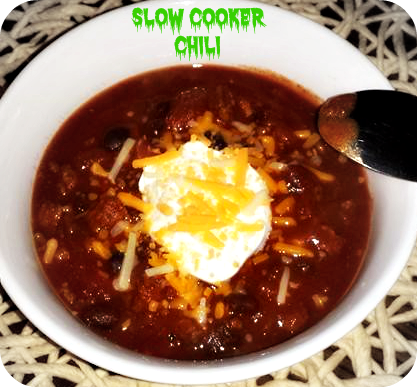 Then this slow cooking chili recipe is the meal choice for you! In a medium sized skilled, cook ground beef at medium-high heat until evenly browned. Drain. Toss it all in your slow cooker and get cooking! Combine cooked ground beef, tomato sauce, black beans, kidney beans, cayenne pepper, sugar, oregano, pepper, salt, and chili powder. Mix thoroughly and cook on low for 6-8 hours or medium heat for 4 hours. Of course, no meal is a success without my loony taste-tester giving it the thumbs up. Not sure why I keep this paint-covered weirdo around...I guess it's love! 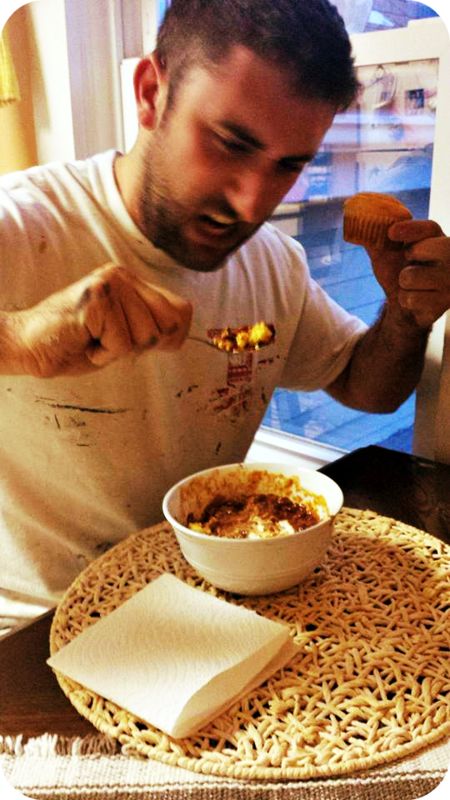 He loved it even though he told me before he made it that "he hates chili." LOL!